Registration is now open for the 52nd annual meeting of the Board of Gover­nors of the Asian Development Bank (ADB). Fiji is the first Pacific island country, to host the prestigious event on May 1st to 5th in Nadi. With the theme of the 2019 Annual Meeting, “Prosperity Through Unity”. An ADB press statement state that the meet­ing will see about 3, 000 participants, one of the largest gathering of the bank and a unique opportunity for ADB Governors to engage in focused discussion on development issues and challenges facing Asia and the Pacific. ADB Secretary Eugenue Zhukov said ADB will showcase its continuous attempts to help build and shape a better future for Asia and the Pacific. Mr Zhukov said discussions will be on sus­tainable tourism, the promotion of healthy oceans, climate change and disaster resil­ience, women’s entrepreneurship, as well as renewable energy and other key issues of the day. 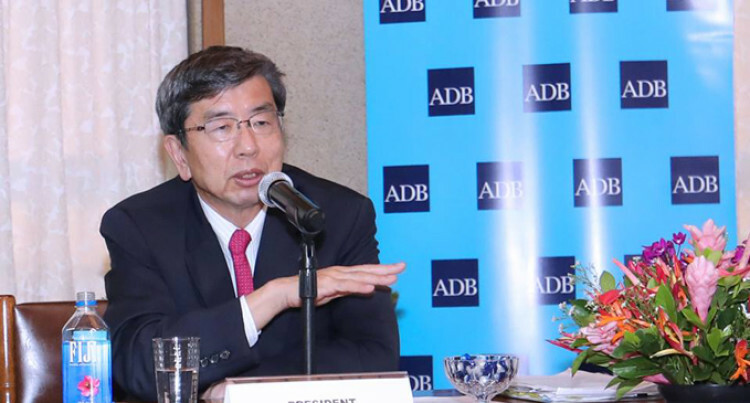 ADB president, Takehiko Nakao while con­ducting his site visits around Denarau Island said he was impressed by the beautiful venues and high-quality facilities selected for the An­nual Meeting. “ADB’s Annual Meeting is an excellent op­portunity to highlight the strength of the Fi­jian economy and progress across the wider Pacific region,” Mr Takehiko said. Mr Nakao commended Fiji’s impressive economic growth and prudent fiscal manage­ment. “Fiji has achieved steady growth since 2010—longer than any period since it gained independence in 1970. Average annual growth during 2010–2018 is estimated at 3.1%. Invited participants, including the should register online. Others interested in partici­pating need to be accredited. ADB has committed $593 million of assis­tance to Fiji since it joined the bank in 1970. Since 2014, ADB has helped the Government mobilise large financing packages for invest­ments, including concessional funds from development partners such as the Green Cli­mate Fund. Ongoing ADB projects include the $100 mil­lion Transport Infrastructure Investment Sector Project, the $42 million Fiji Urban Water Supply and Wastewater Management Investment Programme, the $15 million Sus­tained Private Sector-Led Growth Reform Pro­gramme, and the $50 million Emergency As­sistance for Recovery from Tropical Cyclone Winston. ADB is committed to achieving a prosperous, inclusive, resilient, and sustainable Asia and the Pacific, while sustaining its efforts to erad­icate extreme poverty. Established in 1966, it is owned by 67 members—48 from the region. ADB expects to invest approximately $280 million in Fiji in 2019–2020. Major planned projects include a loan to expand sewerage infrastructure in Suva and policy-based loans to improve the business environment and public sector management. ADB has already started preparation of a Nadi River flood protection project, which is expected to be co-financed with the Japan In­ternational Cooperation Agency, or JICA.